I think it comes as no surprise that to achieve your health and fitness goals you have to fuel & hydrate your body properly. Over the past 21 years as a Personal Trainer I’ve run across just about every way that you can track what you are putting in your body. There are countless apps and websites dedicated to tracking your caloric intake, and I have personally recommended several of them. Some are definitely better than others for sure. But my absolute favorite (that I always come back to) is the old-school pen and paper. 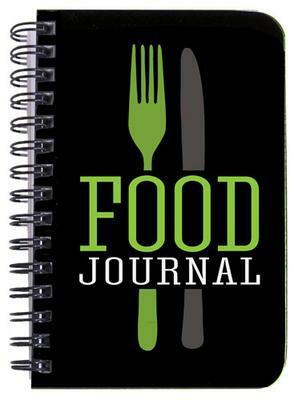 That’s right…there is something powerful about actually writing down what you eat and drink in a Journal. I attribute this to two reasons: 1) It’s crazy simple. 2) It’s tangible. You see, if you consistently journal your food and fluid intake, you automatically become more aware of what you are putting into your body. And when you have something tangible in front of you (like a journal) it subconsciously reminds you to make better choices. Powerful stuff! It sounds silly, but it’s absolutely true. If you do not currently journal, I highly recommend it. Below are the 4 elements that I have my Personal Training clients track in their Success Journals. Food: It seems obvious that you should write down your food in your Food Journal. But I want you to take it a step further and list out your food items. Instead of writing that you had 3 eggs, toast and fruit…say I had 1 whole egg, 2 egg whites, 2 pieces of wheat toast, small pad of butter and a half a banana. It makes a difference when it comes to identifying portions. This also helps identify bad (or good) habits. What you are striving for is a healthy balance of macro-nutrients (protein, carbohydrates and fat) at each meal. If you are not familiar with macro-nutrients, then input you food items into a calorie counter for a few days to get a handle of how many grams of each macro-nutrient you are getting. On a side note: I’m not a big advocate on tracking calories every day for the rest of your life. I don’t think it’s necessary…unless you love to do it. Keep in mind that if you drink lots of caffeine, work outside, or sweat a lot then you should drink more water than what I just suggested above. And if the drinks you consume contain calories (sodas, juices, alcohol) then you definitely should track the amounts you drink each day. This is a bad habit that should be limited if your goal is to lose weight. Whether they did a Strength Training session (with or without me). What they did for Cardio: how long, how far, calories burned, etc. Did they perform their daily stretch routine. All of this helps me determine if they are compliant on the exercise program that I have designed for them. Notes: This is for you as much as anything. How were you feeling that day? Did you have an obstacle that popped up? Did you sleep well the night before? This helps you determine what may be contributing to bad habits, and what you can do to change them. Now, if you want to multiply the power of your journal…then you should share it with an accountability partner. It can be a friend, loved one, or an awesome Personal Trainer (I know one :-). But seriously, you’ll be amazed at your progress if you are being held accountable by someone. My clients get a double whammy because I ask them to post it to our Private Facebook Group. That allows me AND the rest of our Fitness 101 Family to support and encourage each other. And when you have a community like ours behind you, the sky is the limit! There you have it. 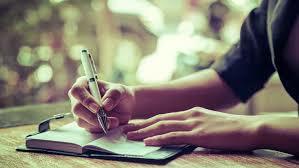 Start Journaling today…and I’m confident you will be looking and feeling better in no time! If you need help coming up with a personalized Nutrition (and exercise) plan…I’d love to help you! CLICK HERE to learn about me and how I can help you. Sean Millhouse is the owner of Fitness 101. He has been an Ace-Certified Personal Trainer for over 20 years…and has helped thousands of Spring/Klein residents achieve their health and fitness goals. Fill out the form below and I'll send you a FREE copy!